We’re thrilled to offer these bright, colorful signs to all home, school, and community gardens that we partner with in Austin. Contact us or stop by to pick up yours today! We encourage you to post a picture of your sign to Twitter mentioning @SFClocal and using #growlocal or on Facebook tagging SFC - thanks for helping to spread the word! FMNP KICKS OFF 2013 SEASON! We’re excited to announce that the Farmers’ Market Nutrition Program (FMNP) is set to begin April 13th! What is FMNP? FMNP is a program of the Texas Department of Agriculture (TDA) that allows qualified Women, Infants, and Children (WIC) participants to buy nutritious fresh fruits and vegetables, using FMNP vouchers, from participating farmers’ market associations. 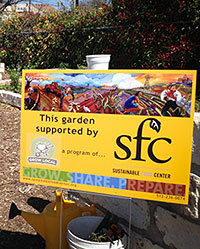 Sustainable Food Center (SFC) first contracted with TDA last year, to offer the program in Travis County and is looking forward to continuing the partnership for a second year. Most of all, SFC is excited about partnering with four area farmers’ markets to provide WIC clients with more access to locally grown nutritious fresh fruits and vegetables. If you’ve been any of the SFC Farmers’ Markets before, you’ve seen our Taste the Place tent. If you’ve read this spotlight before, you know how important our Taste the Place volunteers are to us. 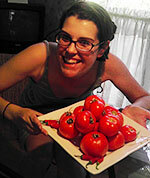 This month, I want to highlight Jenny Houghton, one of our SFC Farmers’ Market East Taste volunteers. Jenny started by doing Taste the Place at our various markets and the moved on to working in the office every week. Celebrate the bounty of spring with SFC at our annual fundraiser on the lush grounds of historic Barr Mansion on May 9, 2013. 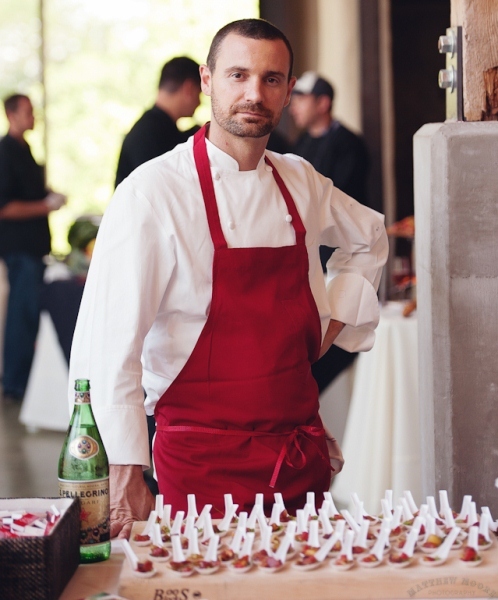 Delight your guests with food by over 25 leading Central Texas chefs dedicated to sourcing locally. The 2013 featured chefs are Jesse Griffiths of Dai Due, Sonya Cote of Hillside Farmacy and The Homegrown Revival, and Andrew Wiseheart of Contigo. Click here to check out our full list of participating chefs! Farm to Plate also features handmade cocktails, biodynamic wines and local microbrews. The First Tuesday in May, Supper Friends would like to delight you with farm fresh fine dining to benefit SFC. Doors & Hors D'Oeurves at 7 PM. Dinner at 7:45 PM. Price Fixed Menu with Gluten-Free Options. BYOB. At The SWOOP House. Call 512.467.6600 or email reservations@swoopevents.com to reserve your spot! In recognition of Earth Day, H-E-B has selected EarthShare of Texas to benefit from its in-store coupon promotion for April! Customers can add check-out coupons worth $1, $3 or $5 to their total bill. SFC is a member of EarthShare and will get a share of every dollar contributed. Please support EarthShare and SFC at H-E-B in April! National Farm to School Network is excited to announce the 7th National Farm to Cafeteria Conference will be April 15-18, 2014 in Austin, TX! Information regarding the conference will be posted on farmtocafeteriaconference.org. 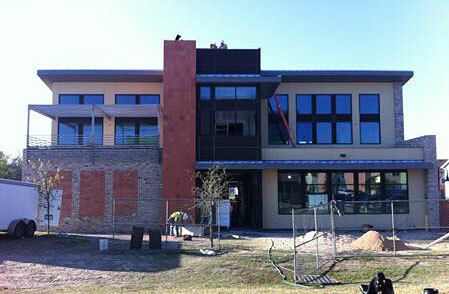 Mecca Gym and Spa is raising funds to support SFC's mission each month of 2013! In April 10% of all drinks sold (non alcoholic), and in May 5% of all facials (waxing excluded) benefit SFC!